While it’s been almost eight years since Vic has dropped an official album, he has turned out a mixtape or two during that time span and still remains sharp with precise lyrical wit that keeps the listener’s brain cells moving. 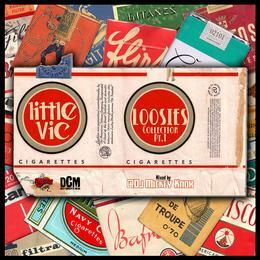 Loosies Collection Part 1 is just that…an assortment of songs that Vic has done in the past couple of years assembled in one mixtape and blended together by none other than DJ Mickey Knox. And while I hope that eventually we will get something official in the way of an album from Vic, I am content to hear some new joints not heard before and excited to share them with you.